We were blessed with 8+ inches of snow over the weekend. Now to the picture. 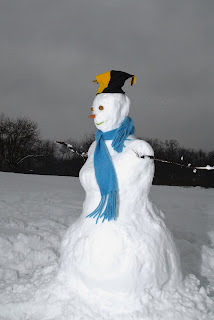 My wife created this interesting and unique snow lady. 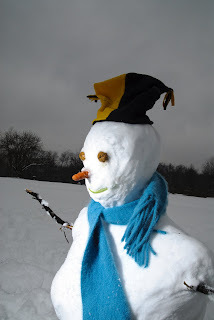 To add dimension to the image I lit the scene with my flash off camera and to the left of snow lady. I used a small [large number] aperture so the background would darken and she was lit more than the back ground.